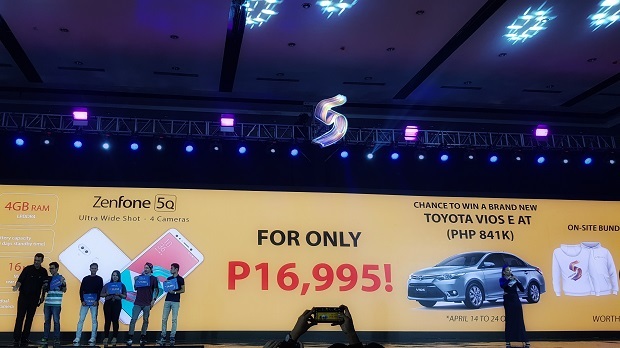 ASUS launched the ZenFone 5 series in the Philippines, the Zenfone 5, Zenfone 5Z, and Zenfone 5Q. The smartphones are aggressively priced in their respective segments. 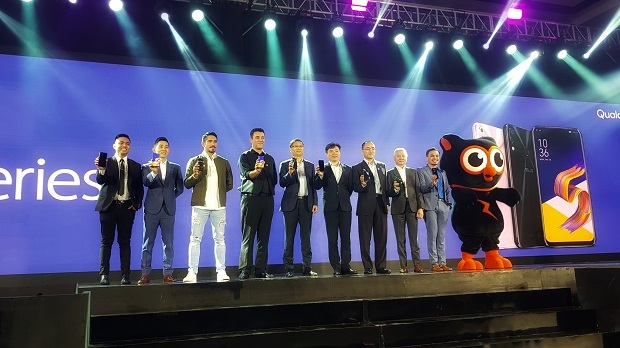 ASUS launched the Zenfone 5, Zenfone 5Z, and the Zenfone 5Q in the Philippines in One Esplanade, Pasay City, Yesterday. Gathering thousands of fans, dealers, and media partners, the company announced the availability of these handsets as well as their respective price tags. The ASUS Zenfone 5 series previously debuted in the Mobile World Congress earlier this year and it’s now hitting the country by storm. ASUS markets the new-generation of ZenFone to be leaders of mobile photography. Both the ZenFone 5 and ZenFone 5Z are powered by AI-capable chipset while the ZenFone 5Q is dubbed as the world’s first true-quad camera smartphone. The top of the line ZenFone 5Z packs a 6.2-inch FHD+ all-screen display with 19:9 aspect ratio. This flagship handset runs with the latest Qualcomm Snapdragon 845 Mobile Platform with AI Engine, a third generation AI platform from the chipmaker. The chipset features Kryo 385 CPU, Adreno 630 graphics. The SoC is also coupled with 6GB of RAM and 64GB memory. The ASUS Zenfone 5Z is strategically priced at Php 29,995. It is exquisitely designed with the iconic concentric circles, especially on the back. The ZenFone 5, on the other hand, shares the same design as its more powerful sibling. The smartphone is powered by Snapdragon 636 – Qualcomm’s midrange chip with exclusive AI Boost. Together with the ZenFone 5Z, the ZenFone 5 features intelligent dual-camera system. It’s equipped with the latest flagship Sony IMX363 sensor with large 1.4µm pixels, an f/1.8 aperture lens, 120° wide-angle secondary camera and four-axis optical image stabilization (OIS). The camera is also packed with AI-enhanced camera features like the AI Scene Detection for 16 different scenes and objects, AI Photo Learning, Real-time Portrait and Real-time Beautification. The ASUS ZenFone 5 is only priced at Php 19,995. The ASUS ZenFone 5Q is deemed as the world’s first smartphone with “true-quad camera system.” The handset is powered by Snapdragon 630 mobile platform which is coupled by 4GB of RAM. Likewise, the ZenFone 5Q sports a 6-inch Full HD+ FullView IPS display with 18:9 aspect ratio. This worker is powered by 3300 mAh battery and comes with convenient features like dedicated SIM tray, Face Unlock, Fingerprint sensor, NFC, and more. The ASUS ZenFone 5Q is only priced at Php 16,995.